Rangers midfielder Andy Murdoch has joined Queen of the South on loan until the end of the season. The 20-year-old spent the first half of the season with Cowdenbeath, making 15 appearances and scoring twice. But Murdoch now makes the switch from Scotland's League One to his parent club's Championship rivals. 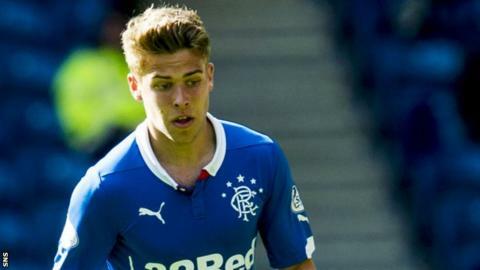 Paisley-born Murdoch made his debut for Rangers in League One in August 2013 and has played 24 times for the Glasgow outfit.